Little Puppy is excited -- it's his birthday, and all the Little Friends are coming to his party! 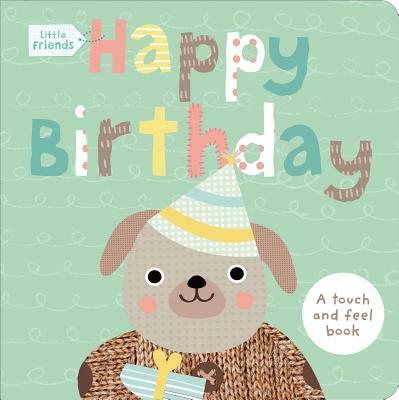 This charmingly illustrated board book is filled with all the things that make a birthday so special, garlands and party hats, presents and cake, and most important of all friends to celebrate with. A delightful book to share with little ones on their special day, Happy Birthday has textures to touch, feel, and explore, as well as a big birthday surprise flap to lift.